On July 6th, 2017 Q-Games and Sony Interactive Entertainment announced in a bi-lingual post on the game’s Japanese site that online service for The Tomorrow Children would end on November 1st, 2017. “We would like to thank you all for playing The Tomorrow Children up until now. This message is to announce that we will be ending online services for The Tomorrow Children at 17pm of the 1st of November 2017 (Tue). The Tomorrow Children development and operations team would like to take this opportunity to thank you all for taking part and enjoying our title since the service began in September 2016. July 6th, 2017 (Thu) – “Thank You Sale”, discounted prices on DLC and Freeman Dollars through September 28th. September 28th, 2017 (Thu) – Removal of the Founders Pack, and Freeman Dollars from the PlayStation®Store, as well as end of new downloads for the title and special items. Share Play will not be able to play after this date. Finally, the post detailed that the in-game Black Market would remain active until the end of service and that any remaining Freeman Dollars would be void on November 1st. No further explanation has been given but due to the game’s free-to-play nature and grueling design choices, the decision was most likely made due to low retention of active players. 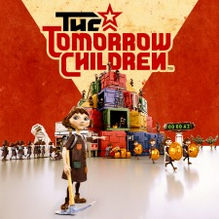 “The Tomorrow Children is a free-to-play game that merges social and action gameplay to deliver a unique new online sandbox experience from renowned indie studio Q-Games (PixelJunk series). Mankind is on the verge of extinction, and you must cooperate with other players to build your town and defend it from monstrous invaders. Stand tall, unite with your fellow citizens, and help lead civilization back to its former glory. Customize and upgrade your very own projection clone, and have fun playing, mining, jetpacking, building, defending, or anything else you can discover. Scour and mine strange “islands” in the Void for vital resources and items that can be used to build, upgrade, power, feed, and defend your growing town. Be on the lookout for the monstrous Izverg – gargantuan beasts seeking to stamp out humanity’s final remnants. Work together with your comrades to build defenses and man turrets to stop the onslaught against your town. Stay vigilant! Stay safe! The Tomorrow Children takes place in an alternate timeline that diverged from our own reality during the Cold War. In this alternate reality, everything changed when in 1967 the Soviet Union pushed a project to merge all human minds into one global consciousness. Unfortunately, scientists did not foresee the terrible results their experiments would bring about. The minds of all mankind were combined and transformed into a strange entity simply known as the “Void,” eradicating most traces of civilization and organic life across the planet. To make matters more grievous, fear accumulating within the Void gave rise to the Izverg—gargantuan beasts threatening to stamp out man’s final remnants.